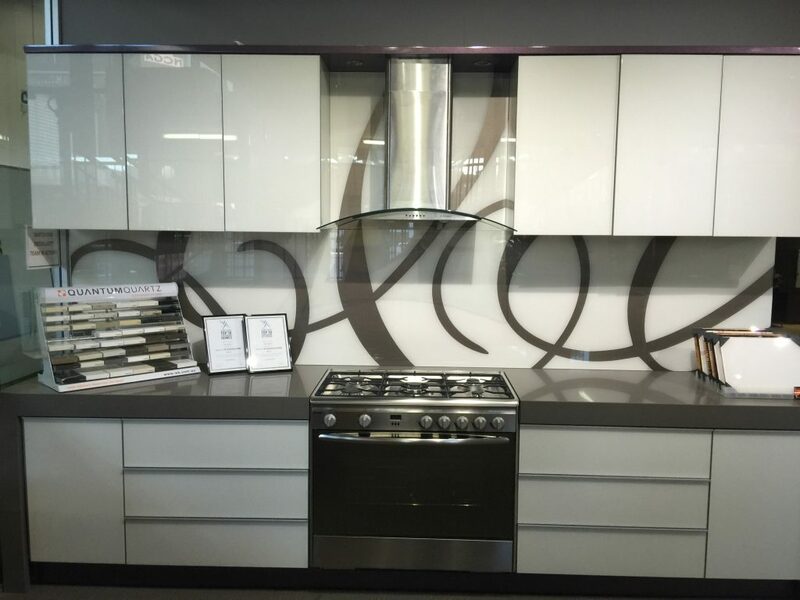 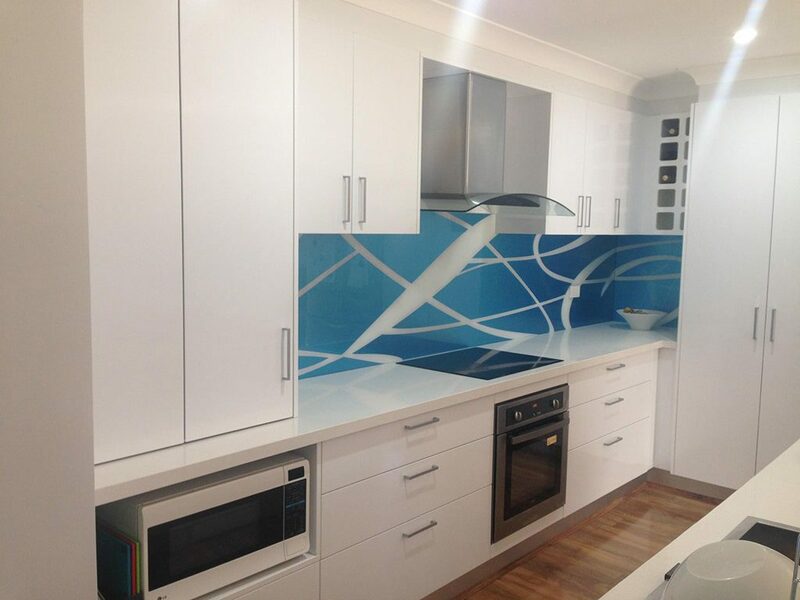 At DecoGlaze™, we’re proud to introduce an impressive product to our Splashback collection – our new Designer Range. 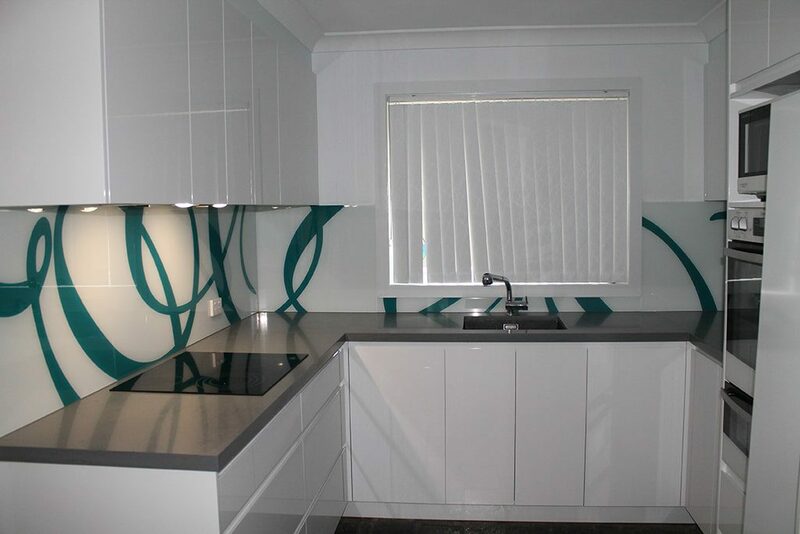 Created with two colours and using a two-step vinyl process, this stunning new Splashback design option can add depth and colour to any kitchen, bathroom or commercial space. 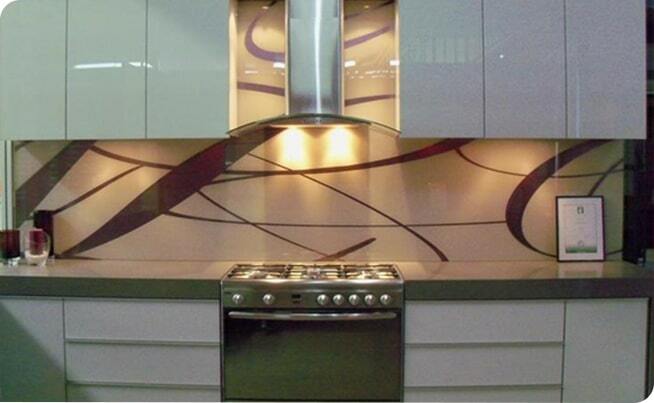 The beauty of our Designer Range is that we can customise the design to suit your individual taste and décor. 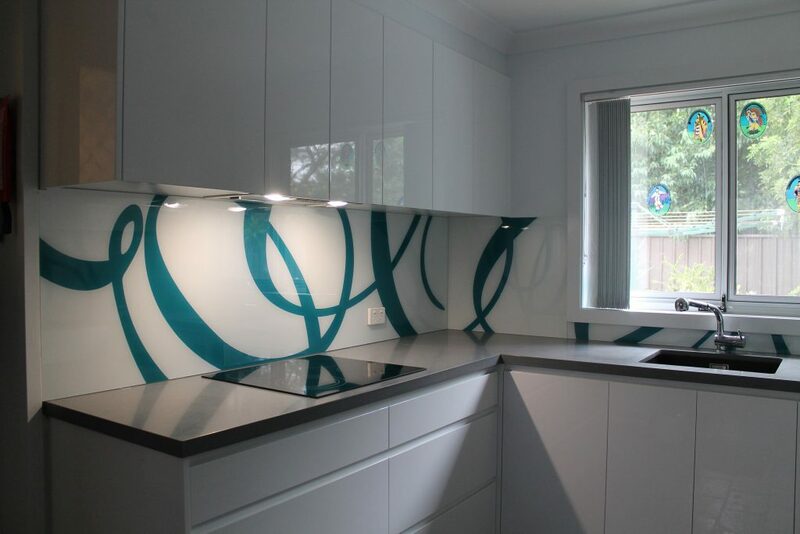 A vinyl print is applied to the back of the Glass, and then the whole back of the panel is painted in a base or background colour of your choice. 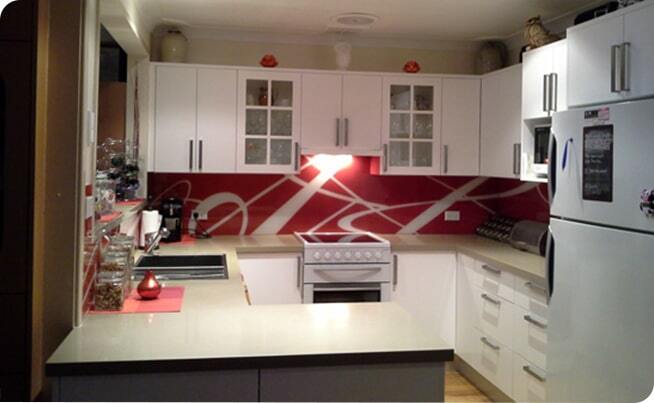 The vinyl print is then removed, and a second coat of paint in a contrasting colour is applied. 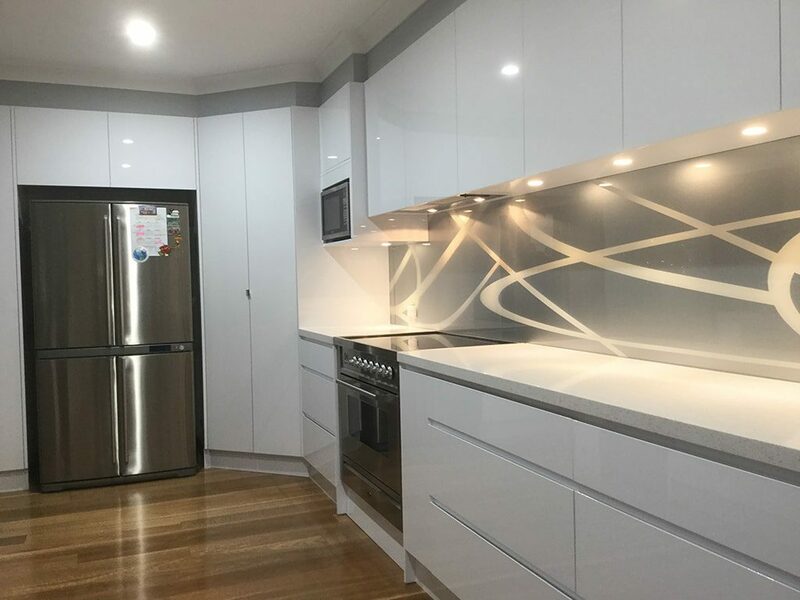 The finish is amazing! 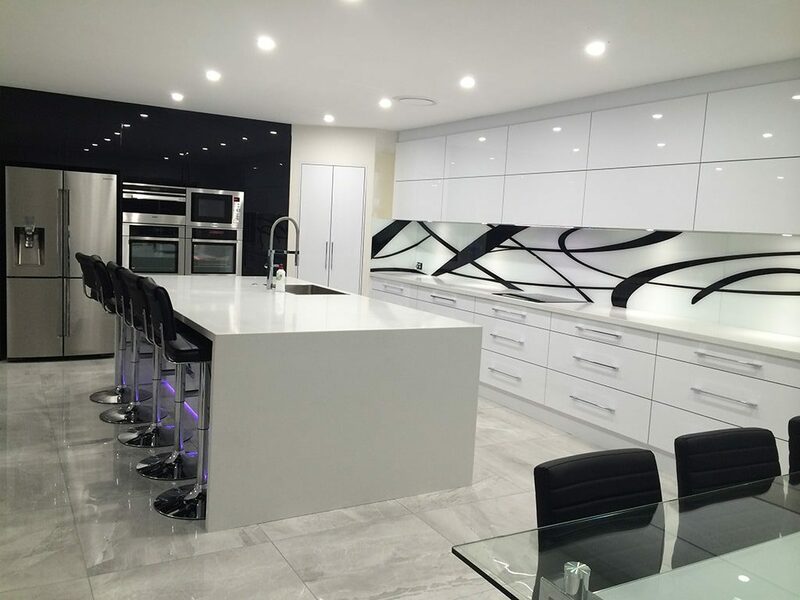 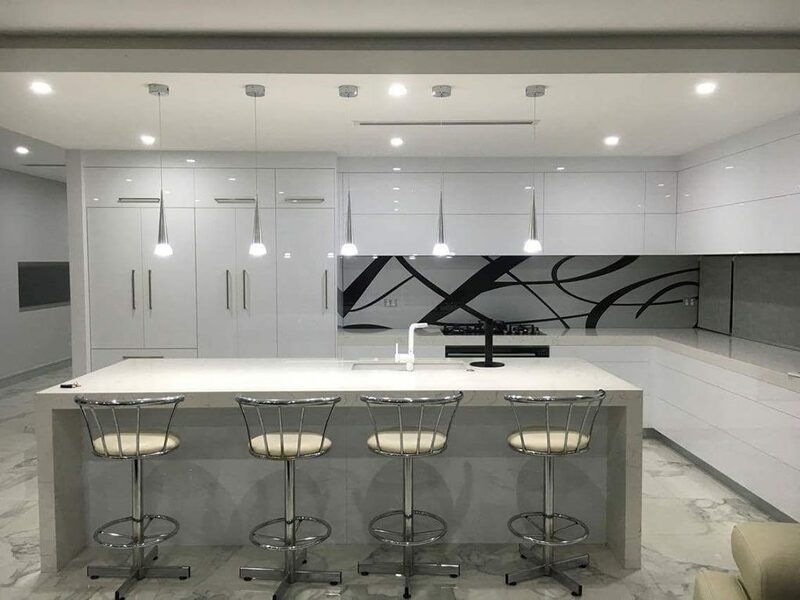 The DecoGlaze™ Designer Range Glass Splashbacks can transform any home or corporate space, giving a fresh clean look to Kitchens, reception areas, lobbies, elevators, boardrooms and bars.